What is a Credit Counseling Agency? Credit Counseling Agencies are agencies that help debtors work with creditors to arrange a repayment plan as a means of reducing their debt without filing for bankruptcy. Creditors trying to recoup their money are both the primary financier and beneficiary of these counseling services. Credit counseling services can help you control your debt more effectively and teach you how to manage your money and help you create a debt repayment plan. There are both nonprofit and for-profit debt counseling services here in Maryland as well as national organizations that can provide you with advice. In Maryland, Credit Counseling Agencies are regulated by the Commissioner of Financial Regulation, empowered by the Maryland Debt Management Services Act. Read the Law: MD Code Financial Institutions § 12-901 et. seq. How Are Credit Counseling Agencies Funded? Credit Counseling Agencies are primarily funded by “fair share” payments made by creditors from the monies, which are collected through Debt Management Plans. Most Credit Counseling Agencies also ask the debtor for a donation to cover a portion of the costs, and some agencies actually charge clients fees for the debt management service. How Much Do Credit Counseling Agencies Charge? Consultation fees cannot be more than $50. Monthly maintenance fees cannot exceed $8 for each creditor of a consumer up to $40 per month. There should not be charge for credit repair. How to Find a Credit Counseling Agency? Your credit counselor should take about 90 minutes to fully assess your financial situation before creating a customized action plan to resolve your debts. Do not just merely fill out an application for a debt-management plan. Your credit counselor should have a college degree plus courses in lending, credit, budgeting, saving and investing as well as continuing training in home finance and bankruptcy. Your credit counselor should not charge you high fees for their services. There is usually a free initial consultation and only small fees for setting up a debt-management plan and for continuing service. The Federal Trade Commission website has more information and tips on choosing a credit counselor. Is this agency a non-profit organization? How much will these services cost? Are agency services confidential? Will they devise a plan tailored to fit your needs? Are the counselors certified? Are budget and credit education opportunities offered? Who Offers Credit Counseling Services in Maryland? The National Foundation for Credit Counseling provides a crisis hotline (1-800-388-2227), on-line counseling, and lists services in your area. Its website offers tips for how to choose a counselor and manage your finances, and tools for analyzing your situation. Organizations that are members of the Foundation must be non-profits. You can also try find a Maryland agency that is a member of the National Foundation for Credit Counseling . What to expect from Credit Counseling Agency? You need to bring your pay stubs, loan information (including the contact information for your creditors) and credit-card statements. You may also need to fill out a budget form that provides information of where you are spending your money so your counselor has a clear picture of your financial situation. What Type of Solution Can You Expect? Typically, the credit-counseling agency will create a debt-management plan and help you get it approved by your creditors. Once your creditors have approved your plan, most of them will stop charging you additional interest and work with you to reduce your credit. Make sure you that your Debt Management Plan only includes the appropriate debt, and especially make sure that you do not include your mortgage. Make sure you reset your payment schedule with your creditor if you are going to pay them once a month so you will not incur late charges and fees. If your Debt Management Plan consolidates your bills into one payment, do not apply for more credit, or try to open a new credit card. Make sure your creditors have accepted you for a debt-management plan before you stop paying your bills. What Can You Do if You are Not Satisfied with Your Agency? If you are unsatisfied with the service provided by your credit counseling agency you can transfer to a new one by setting up a new debt management plan. It is important that you notify your creditors that you are switching credit counselors and that you need their approval of the new debt management plan. Who Regulates Credit Counseling Agencies in Maryland? The Maryland Division of Financial Regulation is the primary regulator for consumer credit counseling agencies. The Division provides a forum for the resolution of consumer complaints concerning questionable credit practices involving businesses that it regulates, and also participates in consumer education and community outreach programs. The Commissioner of Financial Regulations investigates complaints involving credit-counseling agencies. Complaints serviced by the Commissioner's office are from Maryland residents only. A complaint must be in writing, and must include the complainant's name, address and telephone number and a brief but accurate explanation of the problem and advise us of your desired result. Also include any documentation to support your complaint that will help the agency to more quickly resolve the complaint, but please do not send original documents only send copies. Complaints usually take about 30 days to resolve. 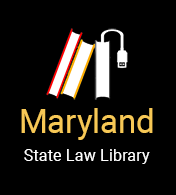 You can also email/scan your complaint to: DLFRComplaints-DLLR@maryland.gov. From the Maryland Attorney General's Office.